We recently shared the news here on FujiRumors, that Godox was working on Fujifilm support. 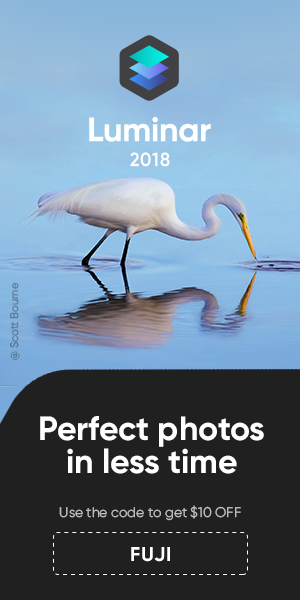 Fully Compatible With All On Camera TTL Controls Including Automatic TTL Exposure Control, Exposure Bias, Second Curtain Sync, HSS, EXIF Recording, FlashValue Lock etc. Metz Mecablitz M400 For Fujifilm In Stock ** Fujifilm EF-X500 Hits US-Market! 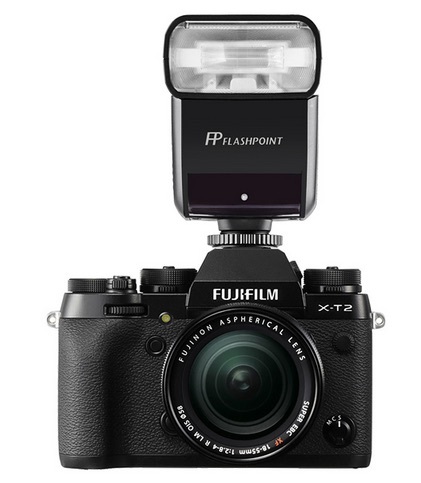 The New Metz Mecablitz M400 for Fujifilm X is now in Stock at BHphoto and Adorama. It is still not available at AmazonUS. 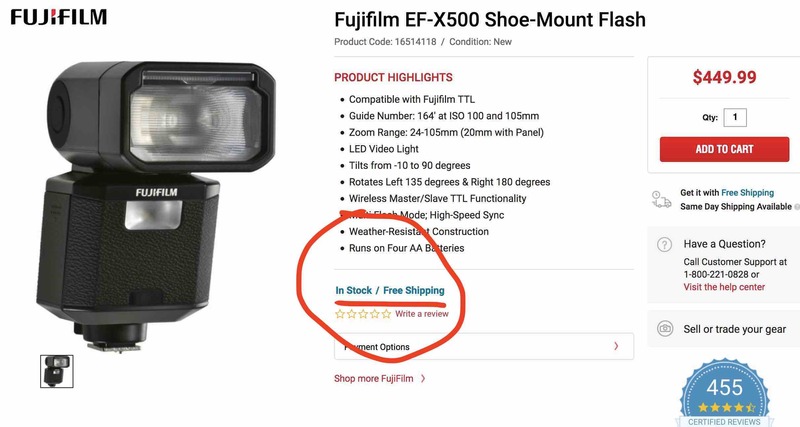 For a short time, also the Fujifilm EF-X500 is now in stock at focuscamera (see screenshot below). But the flash is already sold out. I also got several emails telling me that all over Europe, the Fujifilm EF-X500 started shipping. The brand new Fujifilm EF-X500 flashgun arrived yesterday straight from Fujifilm Portugal – actually I received a pair of these units.This the first part of a detailed review that I started straight away, after all Fujifilm was missing a proper, professional grade flash system and the EF-X500 promises to deliver. The first part of this review will focus on the design and perceived quality, first impressions to put it simply and I have to say that straight out of the box the EF-X500 is impressive. Build quality is second to none, Canon and Nikon are clearly overshadowed: touch, materials, dials and buttons are top notch, but flaps and hinges are a step further and there is no sense of fragility whatsoever. These units seem to be build to last forever. They are made in China, not in Japan, but that doesn’t seem to make any difference regarding build quality. 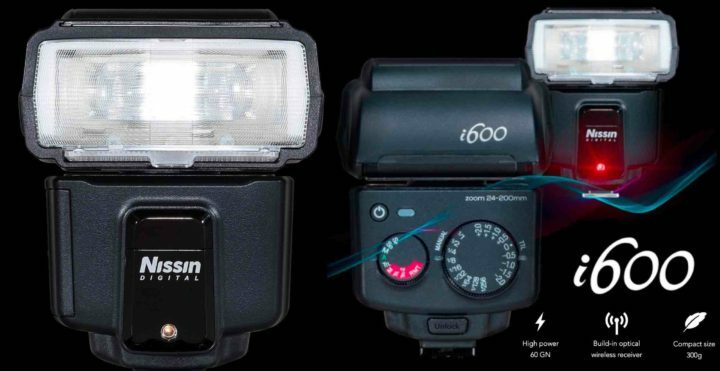 Enjoy the first set of pictures, part two will cover essential features and functions of the EF-X500, soon. This was a insane long wait…. 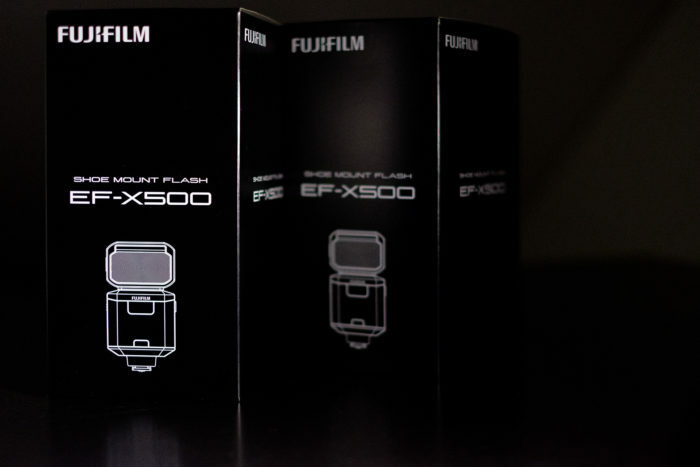 but it’s finally here, Fujifilm latest flash, the EF-X500 is right now shipping and in stock at AmazonDE, AmazonUK, AmazonITA and AmazonFR. Also stores like Clifton Cameras are shipping.